All the The ancient scriptures starting from Rig-ved to Ramayana and the Mahabharata, the Manu Smriti all talks about the equivalent place of a women to a man. ☞ “O women! These mantras are given to you equally (as to men). May your thoughts, too, be harmonious. May your assemblies be open to all without discrimination. Your mind and consciousness should be harmonious. I (the rishi) give you these mantras equally as to men and give you all and equal powers to absorb (the full powers) of these mantras.” Rig-veda 10-191-3. ☞ There are more than thirty women sages (Gargi Vachaknavi , Lopamudra, etc.) in RV with specific hymns associated with them. In all the Semitic religions like Christianity, Islam etc., there is no mention of any revelation to women and no woman is listed among the prominent disciples of the founders or prophets of those religions. The feminine forms of the Absolute and the popular Hindu goddesses are believed to have taken shape in the Vedic era. These female forms came to represent different feminine qualities and energies of the Brahman. Goddess Kali portrays the destructive energy, Durga the protective, Lakshmi the nourishing, and Saraswati the creative. 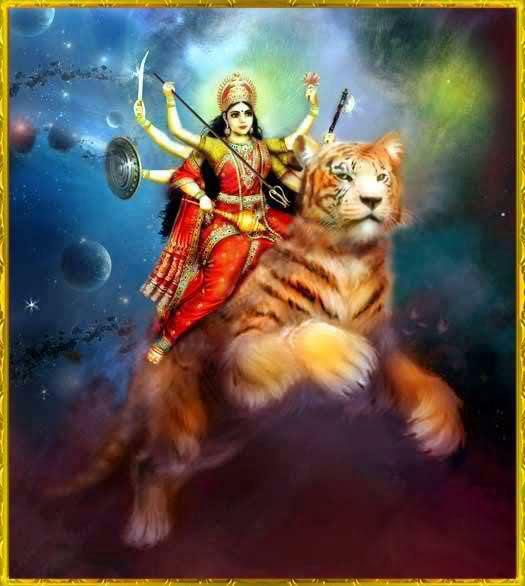 Here it’s notable that Hinduism recognizes both the masculine and feminine attributes of the Divine, and that without honoring the feminine aspects, one cannot claim to know God in his entirety. So we also have many male-female divine-duos like Radha-Krishna, Sita-Rama, Uma-Mahesh, and Lakshmi-Narayan, where the female form is usually addressed first. Women were considered to be the embodiment of great virtue and wisdom. ☞ “The sun god follows the first illuminated and enlightened goddess Usha (dawn) in the same manner as men emulate and follow women.” Athravaveda Samhita, Part 2, Kanda 27, sukta 107, sloka 5705. ☞ Women, who so desired, could undergo the sacred thread ceremony or ‘Upanayana’ (a sacrament to pursue Vedic studies), which is only meant for males even to this day. Co-education seems to have existed in this period and both the sexes got equal attention from the teacher. Moreover, ladies from the Kshatriya caste received martial arts courses and arms training. According to Manusmriti there are eight types of marriage, of which four were more prominent. The first was ‘brahma’, where the daughter was given as gift to a good man learned in the Vedas; the second was ‘daiva’ , where the daughter was given as a gift to the presiding priest of a Vedic sacrifice. ‘Arsa’ was the third kind where the groom had to pay to get the lady, and ‘prajapatya’, the fourth kind, where the father gave his daughter to a man who promised monogamy and faithfulness. ☞ In the Vedic age there was both the custom of ‘Kanyavivaha’ where the marriage of a pre-puberty girl was arranged by her parents and ‘praudhavivaha’ where the girls were married off after attaining puberty. Then there was also the custom of ‘Swayamvara’ where girls, usually of royal families, had the freedom to choose her husband from among the eligible bachelors invited to her house for the occasion. ☞ The hymn 10.85 of the Rig-veda states that the daughter-in-law should be treated as a queen, samrajni, by all the family members especially the mother-in-law, husband, father-in-law. Thus certain mantras in Vedas describe demerits of Polygamy. As in present, after marriage, the girl became a ‘grihini’ (wife) and was considered ‘ardhangini’ or one half of her husband’s being. Both of them constituted the ‘griha’ or home, and she was considered its ‘samrajni (queen or mistress) and had an equal share in the performance of religious rites. ☞ Rig-veda says the freedom of choosing of husband: A woman can choose her own husband after attaining maturity. If her parents are unable to choose a deserving groom, she can herself choose her husband.” ~ 9.90-91. Divorce and remarriage of women were allowed under very special conditions. If a woman lost her husband, she was not forced to undergo the merciless practices that cropped up in later years. Both the Manusamhita and the Arthashastra state that if a husband is impotent, a traitor, an ascetic or an outcast, or missing for a prescribed number of years, the wife take her property (‘Stridhan’), leave him without blame and marry again. The Arthashastra also declares that in other circumstances, divorce can take place only by mutual consent.Prostitution in the Vedic Age. ☞ In NAsmR 12.45-48, there are three types of punarbhu, or a remarried widow: The virgin widow, the woman who abandons her husband to take up with another man and then returns to her husband, and the woman who has no brothers-in-law who can give her offspring. ✮ Unfortunately today some orthodox persons deny the right of women even from chanting the Veda and Bhagwat Gita. Persons from other religion like Islam and Christens try to defame the moral value of women in Hinduism. However, they cannot cite any authoritative scripture to support their views. Any book in Sanskrit cannot be accepted as a scripture or divine revelation. In the past when the famous poet, Sanskrit scholar and spiritual savant, Vasishta Ganapati Muni, the foremost disciple of Sri Ramana Maharshi, challenged these orthodox persons to provide evidence to support their claims, no evidence was forth coming. Even today they can’t fool people with their propaganda.